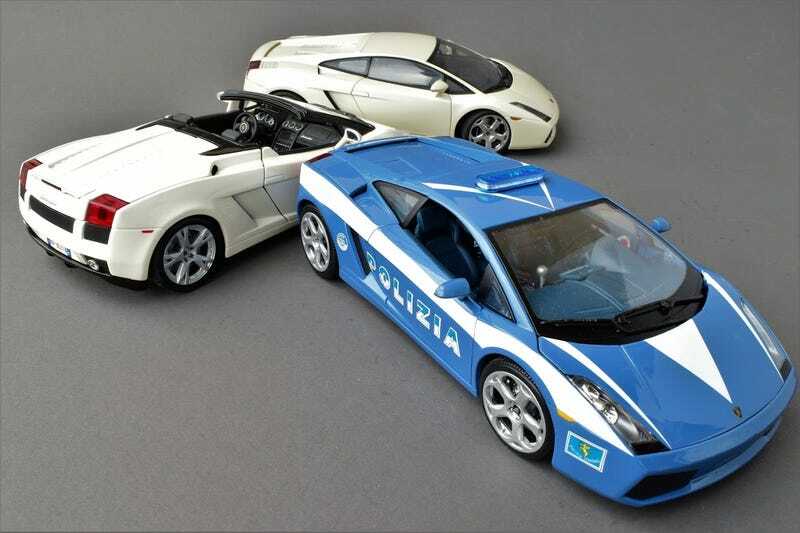 For much of its history, Lamborghini had at least 2 models on offer. That changed in 1994 when the LM002 ceased production, leaving the Diablo, and later on the Murcielago, as the sole model for sale. The Gallardo would go on to be Lamborghini’s most successful model, with over 14k units sold. The models here come from AUTOart and Maisto; I don’t think I need to say which is which. Though the Maistos are no threat to the AUTOart, they are well done for their price and are certainly better than the Huracan. But with that said, you can still get some versions of AUTOart’s Gallardo for 70 or so bucks, which makes them pretty much a no-brainer. Look at that shift knob. But kudos to Maisto for what looks like a new mold for the center stack.